Aquapic Solutions was set up in 1999 to provide aquatic consultancy and related photography, alongside specialist water garden and filtration services. The water garden services are now handled separately under the Water Garden Solutions banner. James Allison, the principal, has qualifications in Biology (B.Sc. Hons) and Applied Hydrobiology (M.Sc.). Before setting up Aquapic Solutions, he was manager of one of the UK’s leading independent firms supplying water garden equipment, plants and fish. In this period he was in contact with retail and trade customers, manufacturers, landscapers, plant growers and fish producers, also dealing directly with the import and healthcare of goldfish and koi. 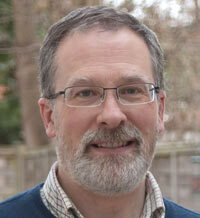 James Allison continues to be involved in aquatics’ media following an eight year spell as editor of the International Waterlily and Water Gardening Society’s Water Garden Journal; over twenty years as a contributor to Practical Fishkeeping Magazine; and authorship of the book ‘Water in the Garden’. He is also recipient of the Garden Writers’ Guild ‘Water Garden Writer of the Year’ 2002, and lectures widely on topics relating to water gardening and aquatic science. James Allison is personally involved in all projects and his consultancy skills draw on his experience and contacts gained in over 25 years in the aquatic trade. Specialist web developers and printers are used as required on media projects. The office is based in the English Spa town of Cheltenham, on the edge of the Cotswolds. Consultancy work and presentations have been carried out for clients throughout the UK and also in North America and mainland Europe. Water garden project and filtration work is carried out in Gloucestershire and the surrounding counties of Wiltshire, Worcestershire, Herefordshire, Oxfordshire and Avon. Please Contact Us for any further information that you might require about the services offered.